Though I normally write about how to increase catering sales, I started out showing restaurant owners how to build dining room sales in the mid 90’s. While on a consulting trip to Indiana to work with a franchise group called The Spaghetti Shop (still working with their Louisville franchisee), I happened upon a banner in front of a restaurant promoting a holiday gift certificate sale: Buy $100 & Get $20 Free! Though I can’t take credit for the idea, I will take credit for exposing thousands of people to that promotion. Year after year at my Corky’s BBQ restaurant we sold a ton of gift certificates via this promotion. I am aware many people use this promotion today. The way to stand out from the crowd is all in the angle you take. Black Friday is the busiest shopping day of the year, but Cyber Monday, the Monday after Thanksgiving is the busiest online shopping day of the year. If you’re going to promote your gift cards for the holidays, try running a special Cyber Monday Sale. It’s not too late to write some emails and tap into social media. I would send out an email the Wednesday before Thanksgiving and on Cyber Monday promoting your gift card sale. Maybe give your customers a little extra. Instead of a free $20 gift card with $100 purchase, give away a $25 gift card. Considering shrinkage and only being on the hook for food cost, it is still a profitable promotion. Facebook: Hopefully your restaurant has a nice following. Have your designer create a Cyber Monday Gift Certificate Sale graphic you can post on your wall. Another strategy is to buy Facebook ads target to your followers. In fact, you can upload your customer database of emails and telephone numbers into Facebook and target those people in their news feeds. I do this all the time to promote events. My prospect/customer database is much, much larger than my Facebook following. LinkedIn: Since LinkedIn is the Facebook of business, this is a perfect medium to attract corporate gift card buyers. Promote the fact that your gift cards are a perfect gift for employee holiday gifts, as well as client appreciation gifts. Work multiple angles to multiply gift card sales. Remember, every dollar in gift cards you sell this holiday season helps you usher in sales in 2016! Now to the cyber part. 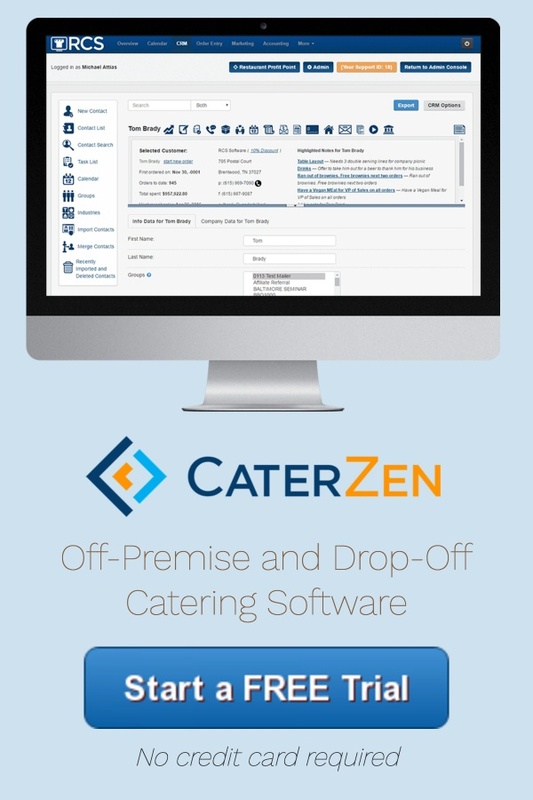 If you have online ordering (available with our catering software), just create a special category and “menu items” featuring the gift cards. I have a client that offers gift cards year round on his website. Now speaking of Cyber Monday Sales, I wanted to let you know of one we are running here at RCS. 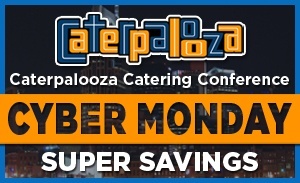 By now, hopefully you know we are putting together an extraordinary catering conference for restaurants called Caterpalooza! 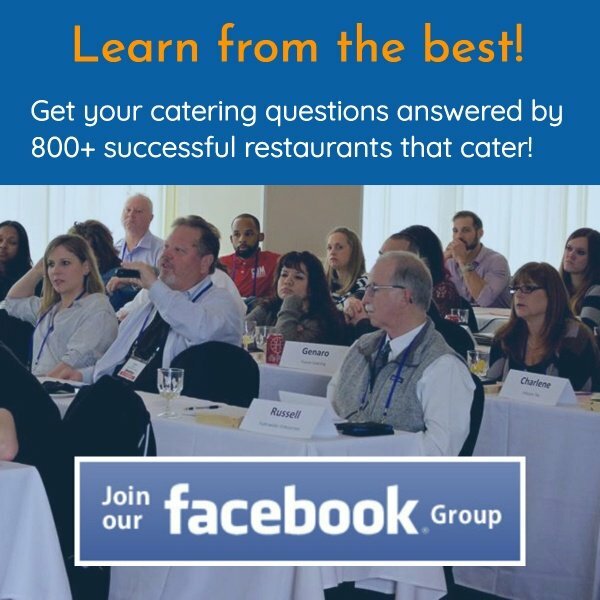 This two day catering conference will be held in Nashville, Tennessee, March 7th & 8th, 2016. I expect this event to fill up. These are the lowest ticket prices you will see. If Cyber Monday comes and goes without you and your team registering, you will definitely miss out on these limited time savings. Click on any of the tabs to learn more about the event. My team and I hope to see you in Nashville!